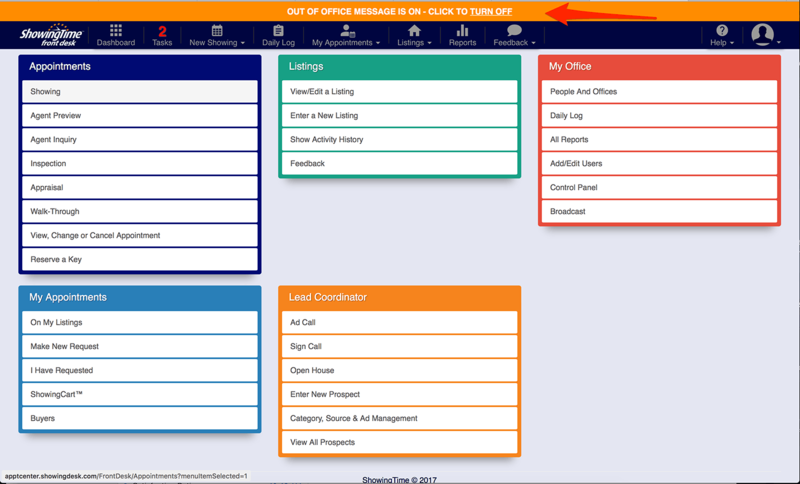 When your Office is closed due to emergency or holiday, you can set up a message that will be displayed to agents who schedule appointments on your office's listings. This message is customizable in the Control Panel of Front Desk by any staff or manager. When the message is active or turned on, you will see an orange banner across the top of the screen indicating that you can turn it off with a click. 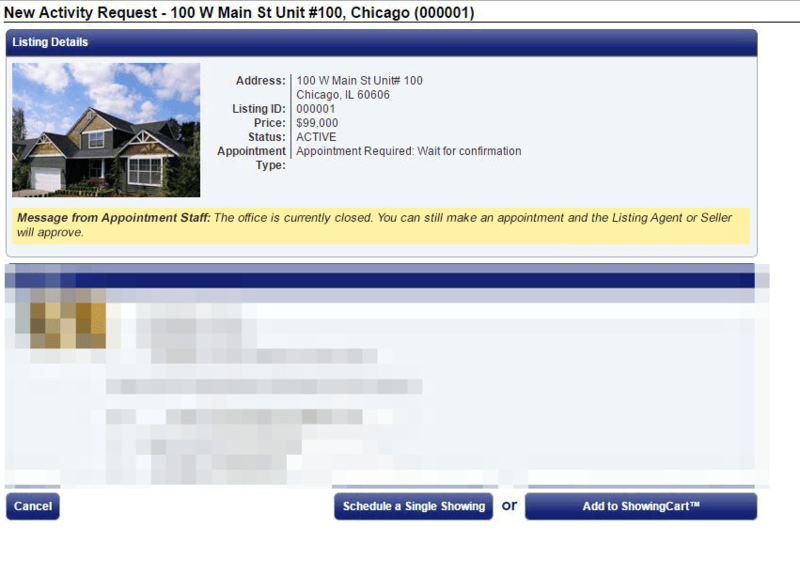 An agent scheduling an appointment on your listings will see the message beneath the listing details.